Brainfuse-Get homework help online through this great site through the EP library. Searching Help-Sites to help you find info easier. Khan Academy- Has over 3,000 educational videos can get help with homework here. Sweet Search- is a search engine that searches only the sites that have been reviewed and approved by a team of librarians, teachers, and research experts. Kid Rex-Kid safe search engine sponsored by Google. 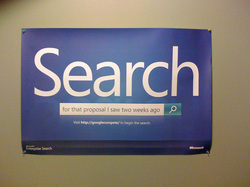 Ref Seek- is a search engine designed for academic use. Famhoo-is another option for kid friendly searches.